Hi and welcome to my photography website! I'm Alice Doggett. 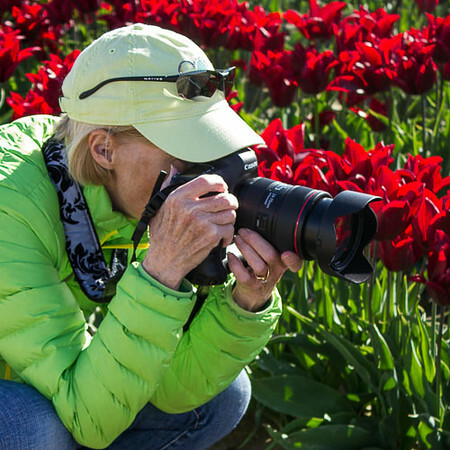 My passion: capturing images of nature and wildlife in the Pacific Northwest and beyond. I got my first camera when I was in grade school, and have had cameras in my life ever since. I’ve always enjoyed the outdoors and am the happiest when I’m hiking along a river or on trails in the mountains/forests, or sailing in the ocean and inland waters of the Pacific Northwest. I love taking a camera along to capture the beauty I see, and I find joy in sharing the images of the places and things that I love. I currently live in Central Oregon, and also spend time in Anacortes, Washington, where my husband and I live on our boat part of the time. When we’re able to get away, we cruise in our boat in the San Juan Islands, Canadian Gulf Islands, and many points north along the Inside Passage to Alaska. You can follow our boating adventures on my blog, CruisingWithPhoenix.com. What could be better than being out in nature enjoying a hike in the forest or along the seashore, or capturing a glorious sunrise or a captivating sunset? Photography has become my passion, and I’m excited to share my photos on this photography website! I hope you enjoy looking at my photos as much as I enjoy taking them. Filters (UV, Polarizing, ND), batteries, media cards, remote release, grips, etc.